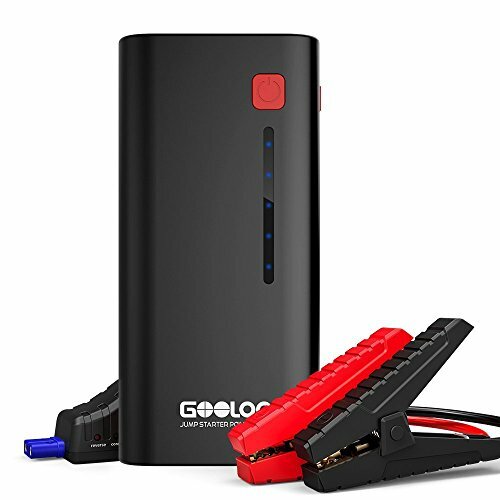 POWERFUL & PORTABLE A powerful 7,800mAh Lithium-Cobalt battery delivers as much as 400 crank amps to jump start all your 12Volt, gas powered cars, trucks, motorcycles, boats, ATVs, Snow mobiles, Tractors, and more! 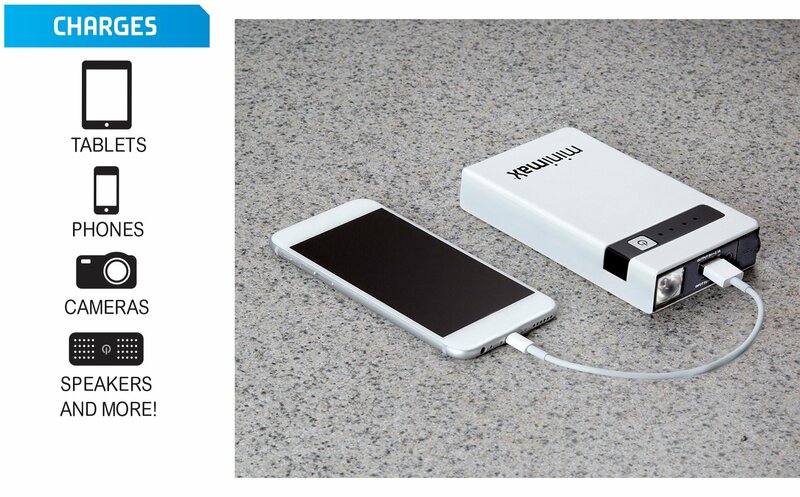 NO OUTLET NO PROBLEM A built in 5v 2A USB Output provides power for iPhones, Androids, tablets, laptops, games and more. 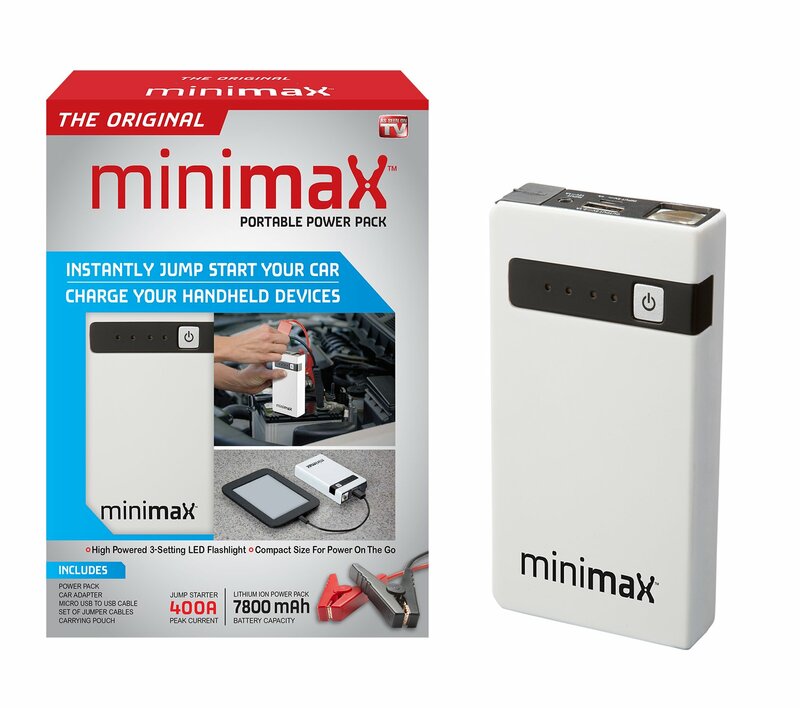 MiniMax is only 6″ x 3″ and weighs only 11 ounces. 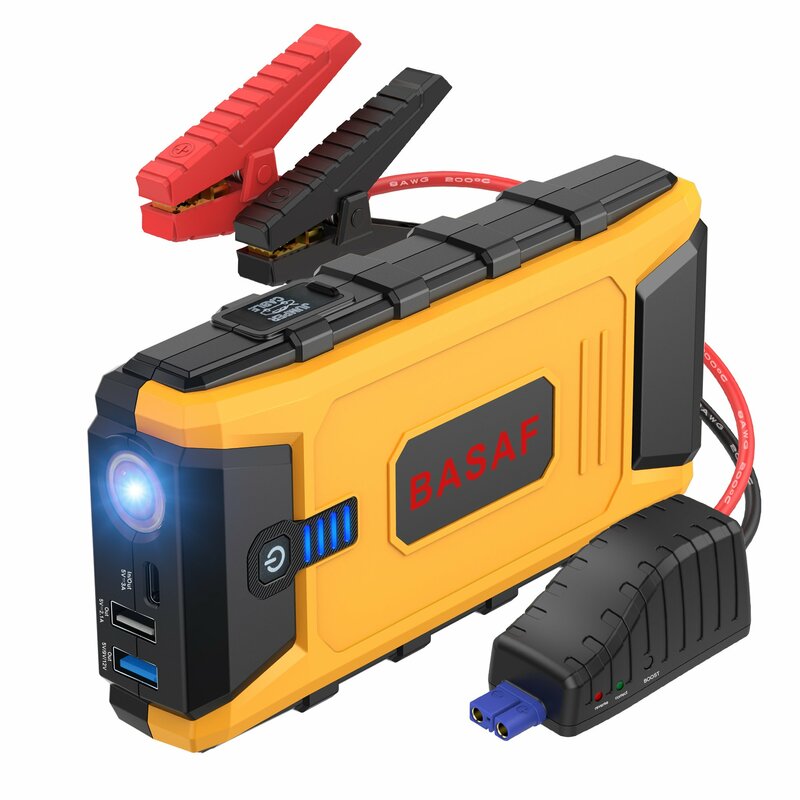 It fits in your pocket, purse, glove box, and the palm of your hand. 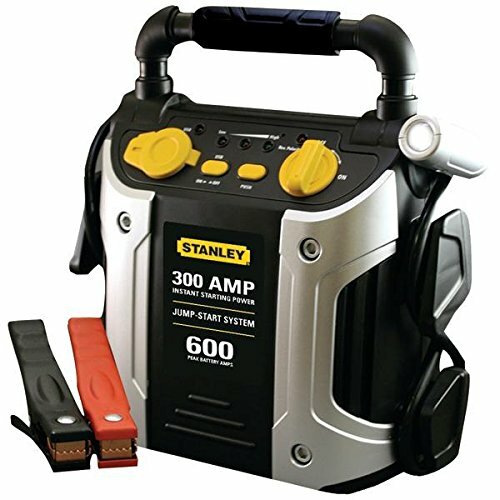 You can take it anywhere! 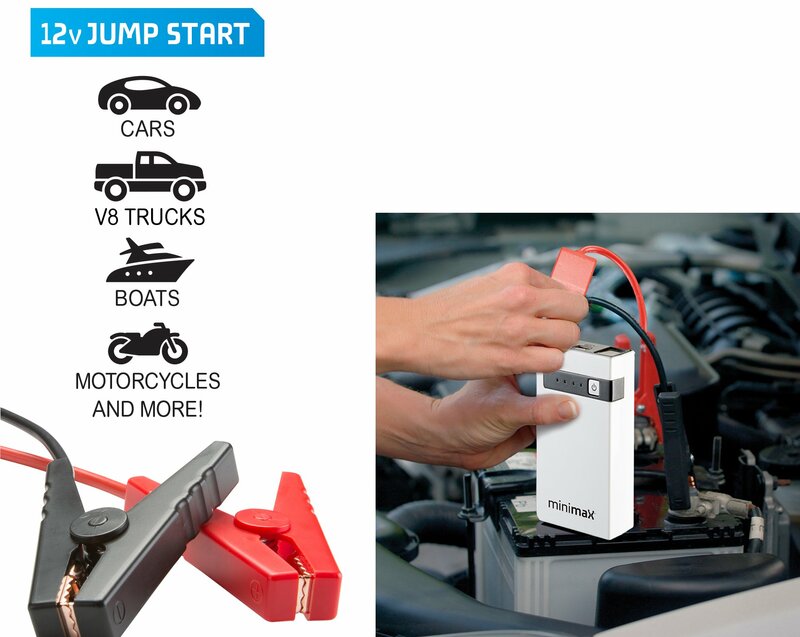 ESSENTIAL FOR EMERGENCIES & Handy For Everyday Use MiniMax has A 3-mode LED safety light acts as a flashlight, a safety strobe, or an SOS signal with a simple click, using this device you will be able to charge all your devices or jump start your automotive. 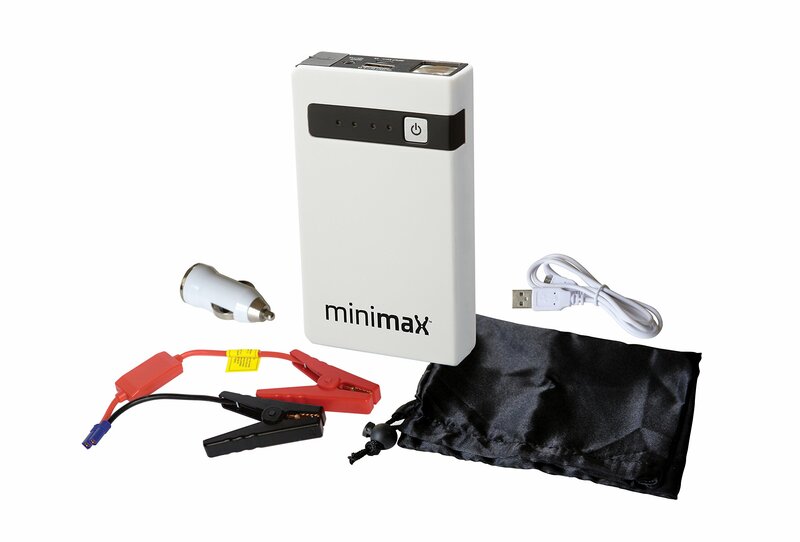 MINIMAX INCLUDES The Power Pack, Micro USB to USB Cable, Car Adapter, Set of Jumper Cables, and a Carrying Pouch. 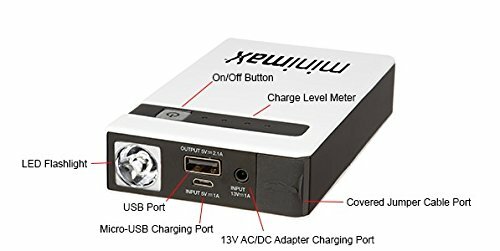 : SIMPLY CHARGE the unit at home by plugging the provided connection cable to any USB wall charger (not provided) such as that of an iPhone. Status Indicator LED’s show when to recharge. 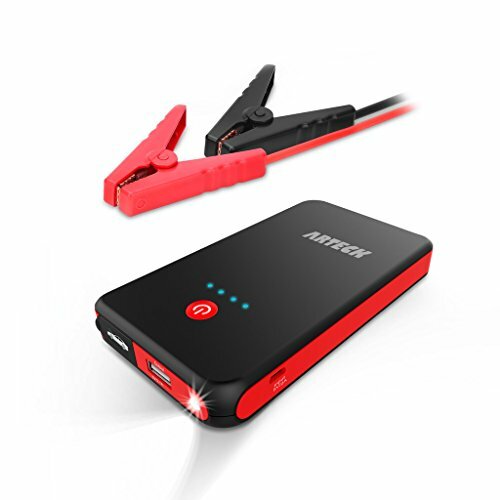 Holds standby charge for 6 months, recharge in home or in car.